In PlanTechtor, you must use the pre-game phase to create your weapon loadouts. They should take advantage of the level's unique powers to maximize the synergies between them. You will need to be sure your designs are perfect if you intend to protect your castle from the onslaught of invaders. 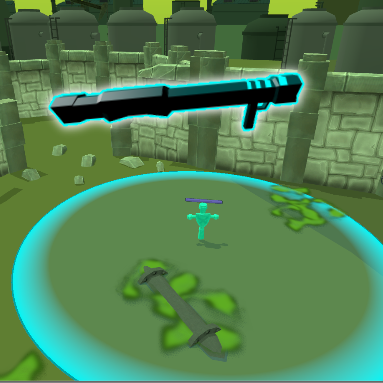 The player eventually unlocks 3 weapons to use during the level. The player can pick and choose which to use during the fight at any time, but they each have their own strengths and weaknesses. The pistols are rapid fire, fully automatic, dual wielding, and never need to be reloaded; but they are also the weakest of all. The bazooka explodes on hit for massive damage to anything in the area; but there are only 6 shots per level and it is slower to use. 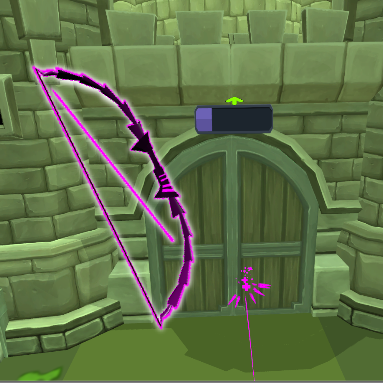 The bow requires more skill to use masterfully and it's single-target damage is right in the middle of the other 2 weapons. 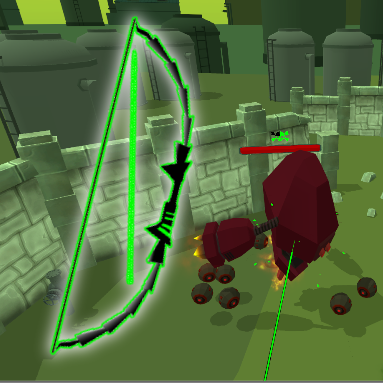 The bow's reloading and fire speed are mostly based on the player's capabilities, but it does have some limitations as well. There are 9 skills that the player will eventually unlock in PlanTechtor. Each of these skills can be equipped onto any of the 3 weapons. 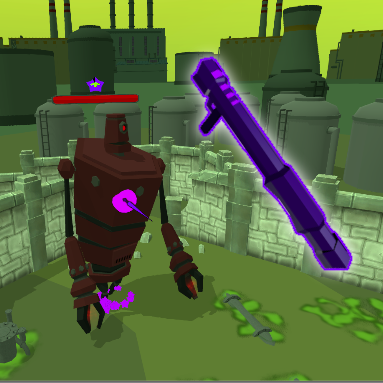 A skill will automatically scale it’s powers based on the weapon it is equipped to. Pistol skills trigger significantly faster and so scale the weakest. 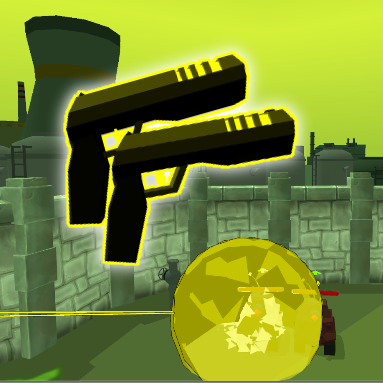 Bazooka skills scale up massively and compound their power because you only get 6 shots per level. Bow skills sit somewhere between those two with good scale and power. Fire: Explodes on hit to apply burning to all enemies in the area. Burning is a small damage over time effect. 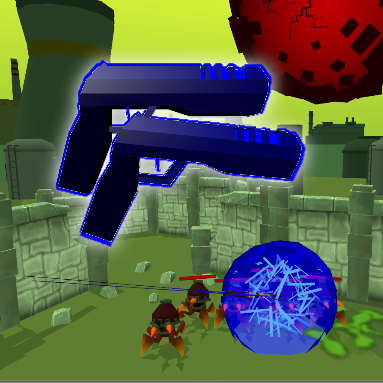 Ice: Explodes on hit to apply slow to all enemies in the area. Slow effects both move and attack speed. Lightning: Explodes on hit to apply vulnerability to all enemies in the area. Vulnerable enemies take more damage from future hits. Target Dummy: A Unit is placed on the ground where shot. It will taunt nearby enemies to attack it; until the Target Dummy is destroyed. Stun: Do no damage with the weapon, but instead completely stun the enemy. It will not attack or move until the stun expires. Heal: Can’t hit enemies, but instead can hit your Gate or your Units. It will heal them when hit. Damage Field: Shooting the ground will mark a region. Pulses will periodically damage all enemies in that region. Persists for a short time. Poison: Does significantly more damage, but only to a single target and spread out over a long time. 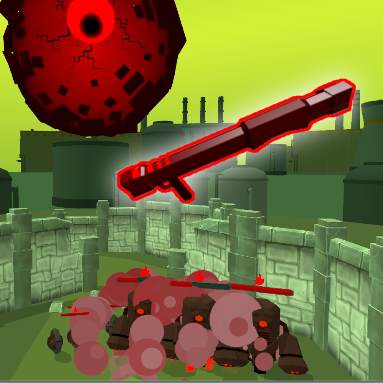 Turret: Shooting the ground will place a Unit that automatically fires on anything that gets close. The turret looses some health each time it fires. 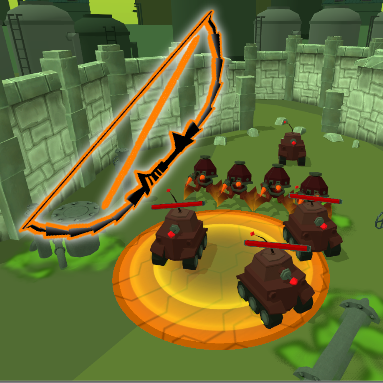 Combos allow the player to create synergies between their weapons and skill selections. Imagine they have Turret on their Bazooka. Then they put a Combo on their Bazooka that says "When Turret does damage, boost the power of your next Fire hit". So, they decide to put Fire on their Bow. Their plan is to place a Turret with Bazooka, and let it destroy on coming enemies while boosting the Bow's next Fire shot, all at the same time. But, that Bazooka Turret wont' last long. How about they then put Heal on their Pistol? They can use the Heal Pistol to keep their Turret alive longer! So, they then put on a combo on their Heal Pistol that says "Healing with this causes your next Bow shot to be more powerful" ... Are you starting to see how awesome the skill system can be?! 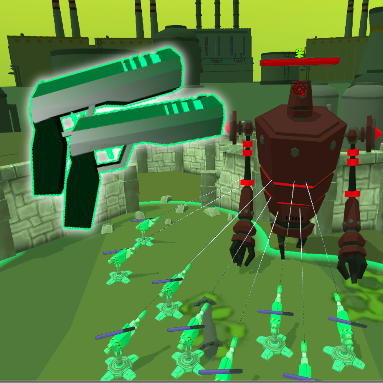 A player can select 2 Combos per weapon, and they eventually unlock over 50 different Combos to design with. If this all sounds like a bit too much power for the player; well, think again. Each level presents a quest for the player to achieve. The quests get harder and harder. Enemies get stronger and smarter. 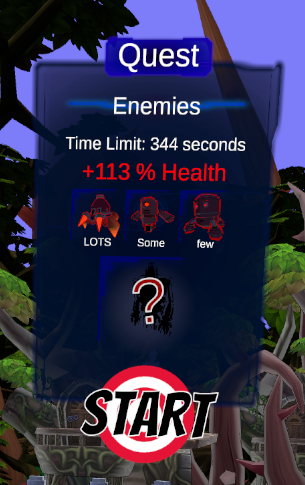 New types of enemies start to show up, and the invading forces grow and grow. The player will need to exploit and take advantage of every thing they have if they want to protect the worlds of PlanTechtor.